Intermediate workshops, also called Level 2 workshops are intended for wallers who have already taken 1 or more walling workshops. 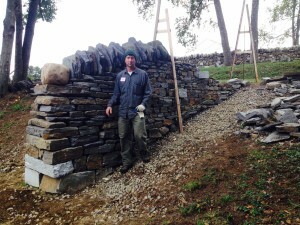 People who have significant experience building dry stone walls or worked with certified wallers may also be ready for Level 2 workshops. Level 2 workshops have multiple formats and may be taught indoors or outdoors at The Stone Trust Center or off site. At level 2 workshops subjects include features typically part of the Level 2 and Level 3 certification tests. This includes wall ends (check ends), retaining walls, high walls, curved walls and and sloped walls. Specific topics such as stone shaping, and string lines may also be addressed in detail within level 2 workshops. Other walling styles are also coved in Level 2 workshops, such as Galloway walls. Level 2 workshops assume that participants know the basics and the workshops focus on teaching how to build various features efficiently. Workshops also focus more on refining the appearance of of the stone work. 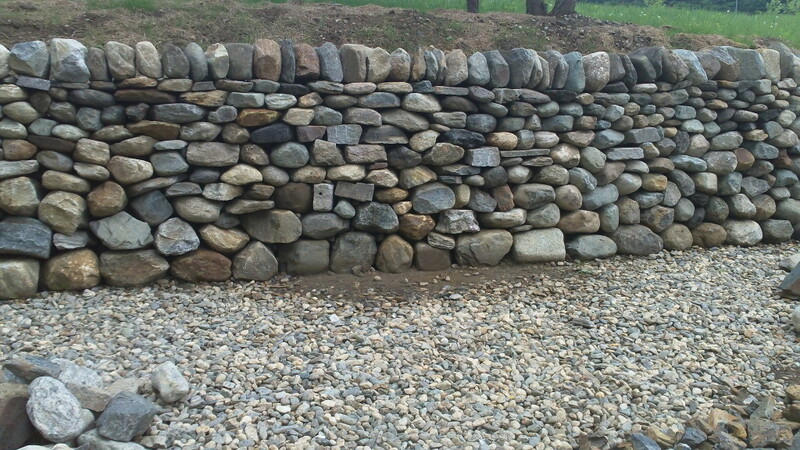 Beginners to dry stone walling should take at least one Level 1 workshop before taking a level 2 workshop. Like level 1 workshops, participants will generally each have there own section of wall to build. Workshops may be 1 day or 2 days long. Most workshops have a specific focus, and can vary widely so be sure to read the details for each workshop before signing up. 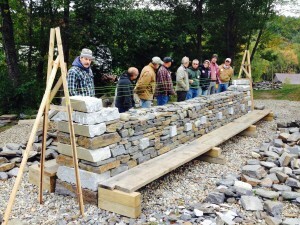 All workshops are taught by Dry Stone Walling Association of Great Britain (DSWA-GB) certified instructors. All instructors for Level 2 workshops are certified at or above the level of the feature they are instructing. For information about workshops contact Brian Post or call 802.490.9607. All workshops at The Stone Trust begin each day at 9:00am and go till 5:00pm, with a 1/2 hour lunch break. Workshops are are approved for 7.5 credit hours per day though the Landscape Architecture Continuing Education System (LA CES) credits. To Register for a workshop check the Upcoming Event List.